May sees the return of some of the best food festivals in Hampshire and a chance to get those taste buds going, particularly as we come into the Summer season of fresh British produce. The Alresford Watercress Festival takes place on 17 May 2015 and brings together the local community and food lovers from far and wide to celebrate watercress – the superb locally grown, delicious and versatile crop. The entire centre of New Alresford becomes a huge street festival with a large food market. One of the highlights of the festival is the street cavalcade with jazz musicians, Morris dancers and local school children accompanying the Watercress King and Queen who sit on top of a horse and cart. The children will be distributing the first of the season’s watercress harvest to festival-goers. In the Cookery Demo Unit you can watch well-known award-winning chefs and food writers including Jack Stein, son of Rick Stein, demonstrate their skills and some mouth-watering recipes and even cheer on those in the World Watercress Eating Championships. Entry to the festival is free and if travelling by car you can take advantage of the park and ride service from Ropley to Alresford with either a free ride on the Mid Hants Railway ‘Watercress Line’ or, during peak times, a free coach ride into Alresford. The Fleet Food Festival is a week later on 24 May and promises to be a flavourful array of fantastic food, tasty talks and demonstrations, workshops, family activities and an appetising menu of live music. Highlights include a tantalising range of fresh and regional produce in the Food Market, prestigious regional chefs and master classes in the Cookery Theatre, inspirational food and wine talks and Q&A with the experts, family fun in the hands-on children’s area, speciality real ale and refreshing drinks in the Pint ‘n’ Pimms Tent and an exciting line-up of live music in the picnic area. Entrance is just £1 and under 5s go free. Special, discounted parking is available in Fleet to support the event with parking just £1 all day in the main town centre car parks and free in Hart Shopping Centre. Fleet is a thriving community and was voted one of Britain’s top 20 places to raise a family in 2014. If you are looking to relocate to Fleet or surrounding areas then why not check out our properties currently for sale in Fleet, as well as some comments from happy customers in Fleet who have sold their property through Check 4 Houses. Why are online estate agents so much cheaper than high street estate agents? The internet has changed the way we live – from how we shop to how we communicate with our friends. Social media has become part of our everyday lives and online shopping is now a multibillion pound industry, taking an increasing share of our overall spending. These changes apply not just to how we buy and sell books or music, but to how we buy and sell much larger, more expensive items including houses and cars. 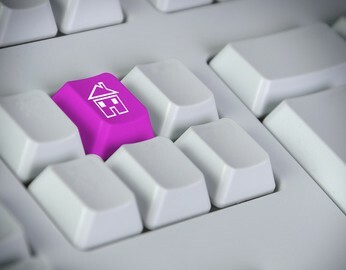 With 90% of property buyers now searching online, the effect of the internet cannot be ignored. The good news is that this increasing influence of the internet has opened up a whole new market for online estate agents, who can sell your property just as effectively as a traditional high street agents but at a fraction of the cost. Historically, high street agents needed to invest in costly newspaper advertising to market your home. Even though these costs are now significantly reduced with the impact of online advertising, high street agents still need to cover the large costs of rents and overheads for expensive high street offices. But look what covering the high costs of rent did to our high streets when the likes of Amazon came along; huge retail firms like MFI, Woolworths, HMV and Blockbuster all struggled to adapt, with savvy shoppers not prepared to pay higher prices for the same goods and services they could get online at cheaper prices. At online estate agents like Check 4 Houses we are able to combine the experience and knowledge of a traditional high street estate agent with the flexibility, advantages and costs of the internet. Local experts, we know the towns and cities of Fleet, Farnborough, Aldershot, Basingstoke, Camberley, Yateley and Farnham inside out, yet we also recognise that 90% of property searches in the UK take place online. Our internet based approach enables you to save thousands in agency fees – giving you more to spend on your new home whilst still benefitting from personal service from start to finish, with accompanied viewings and all the services you would expect from a local high street agent. If you are looking to sell your home then why not check out our competitive packages. We can sell your home from as little as £499 or 0.5% + VAT. Please contact us on 01252 819725 for a free valuation or drop us an email and we’ll be in touch. With just over 3 weeks to go till the general election, first time buyers and the property market as a whole remain a key campaigning issue. 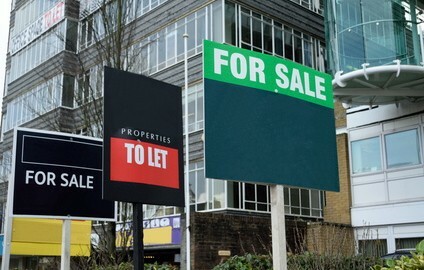 With political parties pledging various ways to help first time buyers and support the property market, voters are being swayed over this key economic issue. But does the property market need help? Well despite a turbulent few years, the overall property market continues to grow and thrive, particularly in the south east and in our local areas of Hampshire, Surrey and Berkshire. Prices continue to rise as demand for housing continues to outstrip supply. Good transport links as well as exceptional green spaces and high quality educational facilities continue to make our area one of the most desirable in the country, with Hart being again voted one the most desirable place to live in the UK, and Fleet a top town to raise a family. Recent major housing developments such as Elvetham Heath in Fleet have been quickly snapped up and there is pressing demand to build even more housing in our area to cope with supply, such as the proposed up to 5,000 new homes in Winchfield. Of course, rising prices can be great news – particularly if you are looking to downsize, or if you had a high mortgage to property value ratio. However, as a first time buyer, rising prices mean even great deposits required, and a recent report suggest that some young people are giving up on the prospect of ever being able to buy their own home . As our population ages and with high elderly care costs, multi-generational living with parents and children, or even grandparents, parents and children all living together may become more of the norm, leading to increased requirements for bungalows, properties with annexes or flexible accommodation that can be catered to different family living arrangements. 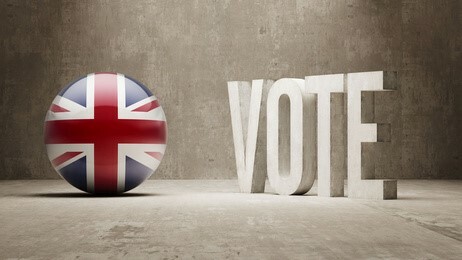 Whoever actually wins the election on May 7th and takes power, we will all be watching what happens next to find out which of their election promises – both for first time buyers and the property market and as a whole have been campaigning rhetoric, and which will actually come into force. If you are looking to make the most of rising house prices and sell your home then why not check out our competitive packages. We can sell your home from as little as £499 or 0.5% + VAT,saving you thousands when compared to typical high street estate agents fees. Please contact us on 01252 819725 for a free valuation or drop us an email and we’ll be in touch. Is having buyers ‘on the books’ the key to an estate agent selling your home? For years estate agents have claimed that having buyers registered ‘on their books’ is the key to selling your home. They say they have a stock of buyers whom they can pick up the phone to within minutes, who they know will want to buy your home. For some people this can be very persuasive. The business of buying and selling your home can be a stressful one and if an estate agent says that you might not even need to worry about advertising it, then this might seem like the perfect answer. In some cases this approach can work out perfectly but in the majority of situations, getting your property advertised as quickly as possible to the widest audience is the best way to generate maximum interest in your property, giving you the best chance of securing the highest possible price. The way we search for property to buy and sell has now changed for good, with the vast majority of house searches starting online. Many serious buyers are signed up to property alerts from the major property portal websites like Rightmove and Zoopla and are ready to pick up the phone the minute they see a suitable property come through. Of course personal contact is still important and automated search can never completely replace the work of an estate agent. However it does do a vital job of advertising your property to the most amount of people. The personal contact then kicks in to ensure viewings are accompanied and handled professionally, that negotiations can be conducted and both sellers and vendors supported by one personal point of contact throughout the whole process. If you are looking to sell your home then why not check out our competitive packages. We can sell your home from as little as £499 or 0.5% + VAT, saving you thousands in estate agency fees when compared to high street agents. Yet we offer all the personal, local service you would expect and can rely on. Please contact us on 01252 819725 for a free valuation or drop us an email and we’ll be in touch.